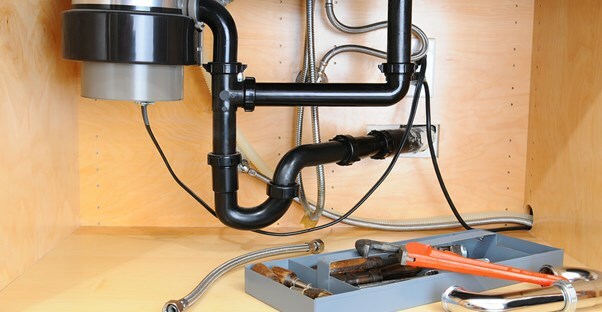 When your home’s plumbing system malfunctions, it can lead to significant inconvenience for family members and can even cause damage to construction materials. Experienced plumbers often wish that homeowners were aware of a number of important tips regarding their plumbing systems. Dumping kitchen oil and grease down the drain contributes to the build-up of greasy deposits in cracks in the pipes and can ultimately lead to serious clogs. Use an old, empty coffee can for disposing of cooking oil and grease. Professional plumbers know that drain cleaners can cause deterioration of the inner surface of pipes, which increase the likelihood of drain problems over time. If you feel you must use a cleaner to remove minor debris and make drains smell better, use vinegar and baking soda to foam away small bits of soap and grease. Your garbage disposal unit can become clogged and emit foul odors when not properly maintained. Plumbers recommend flushing your disposal with cold water each time you use it to chop up and flush away food items. This action helps to keep blades sharp and remove odors from the unit. The marketing trend now favors thick, soft toilet tissue for consumer use, but this type of tissue is difficult to break down in the water and may contribute to toilet clogs. Plumbers recommend using single ply tissue that will break down easily to help keep your toilet running freely. Homeowners should educate themselves about the common signs of hidden leaks so that they can intervene before a small problem becomes a larger one. One of the easiest ways to prevent drain problems in your home is to use the small screen drain filters that are available at hardware and home improvement stores. Plumbing professionals recommend that homeowners teach everyone in the household the location of the main water supply valve and how to turn it off in case of emergency. This action can help to prevent water damage from severe leaks or backups, saving you hundreds of dollars in construction repair costs. Damaged walls, paint, or flooring can be an indication of a small leak that has continued over time. Mildew or mold growth can mean a situation of constant dampness from a hidden leak. Call a plumber to help locate the problem and repair it before further damage occurs. Any area that exhibits water stains should be investigated to locate a possible leak and repair it to prevent further wall or ceiling damage. If you constantly notice a damp smell in the kitchen or bathroom, it’s highly likely a small, hidden leak is at fault. Consult with a plumber to determine the source.